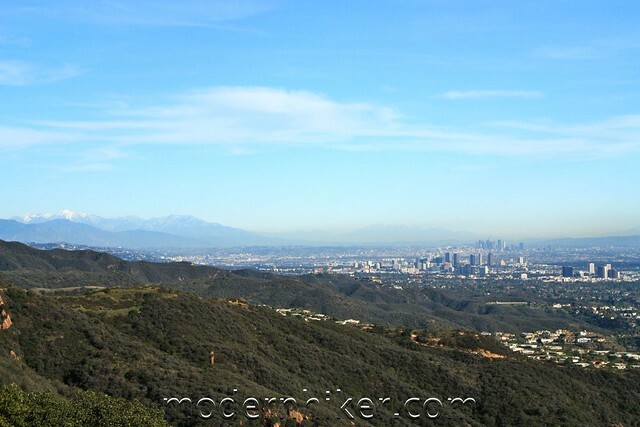 A 7.3 mile hike from the Pacific Palisades to a popular overlook in Topanga State Park. The first part of this hike – the Los Liones Trail – is one of the most lush riparian canyons I’ve seen in the Santa Monica Mountains. It’s gently graded, moderately shady, and definitely worth a look even if you have to fight crowds. 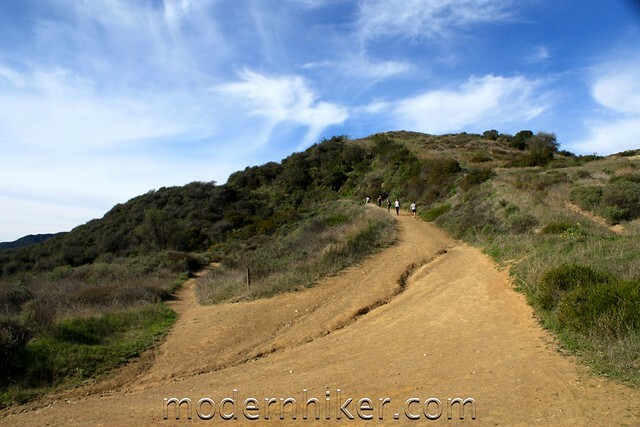 Afterward, the trail meets up with the system of fire roads in Topanga State Park, and makes a relentless ascent to Parker Mesa (1525ft). 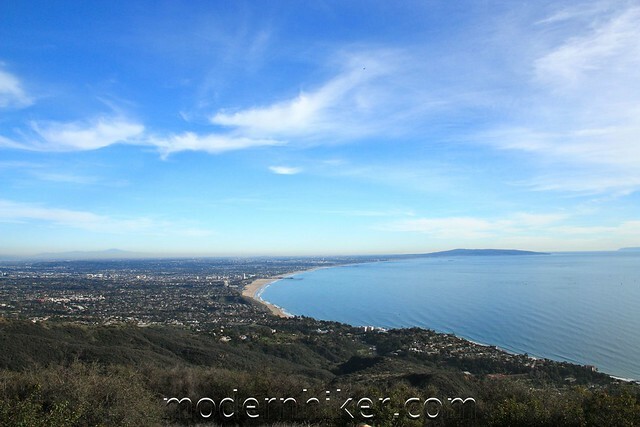 On a clear day, you’ll get amazing views of the Santa Monica Bay, and often inland as far as the San Bernardino Mountains. 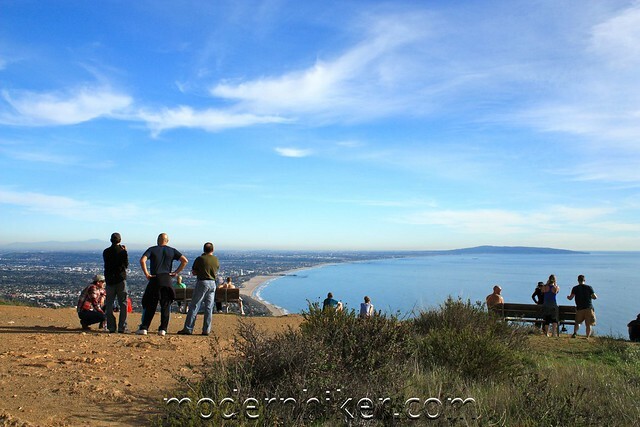 Parker Mesa is a popular overlook of the Pacific Coast in Topanga State Park, but most people reach it on fire roads from the Park’s western entrance. For a much better look at the varied landscapes inside Topanga State Park – and for a much more intense workout – this southern approach is a more interesting route. The Los Liones Trail starts on Los Liones Drive in the Pacific Palisades at a clearly marked gate. This is a popular trail, but there’s plenty of free street parking, as well as two spillover lots near picnic areas and restrooms. 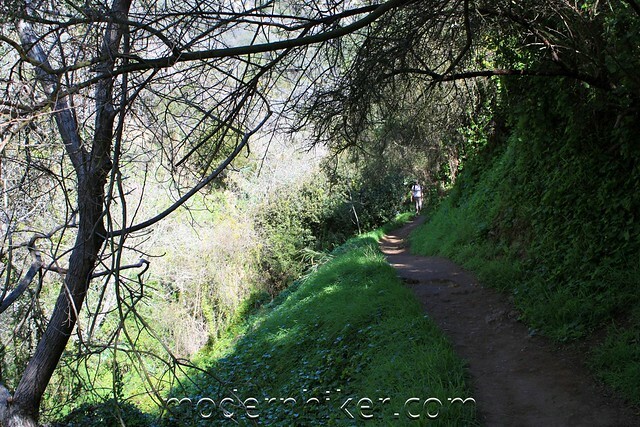 The Los Liones Trail starts out inconspicuously enough, looking like just about any other coastal Southern California trail – but as the single-track route winds its way over several short hills and and through the scrub, it starts to take on a character all its own. Eventually, the trail gets shadier and incredibly lush. 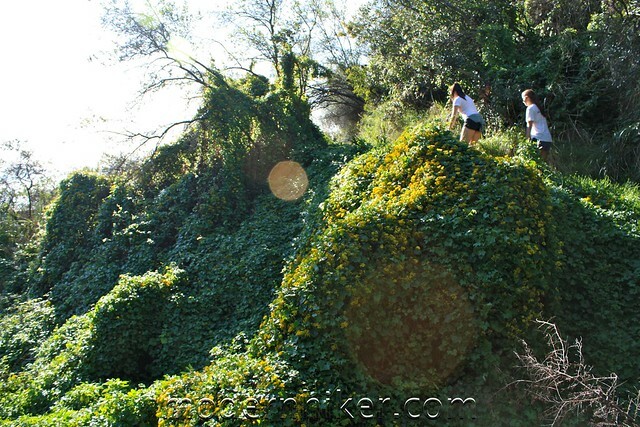 At parts, the entire canyon floor is covered in a carpet of ivy – it looks almost like kudzu – and I bet it’s an amazing place to hike during the spring blooms. 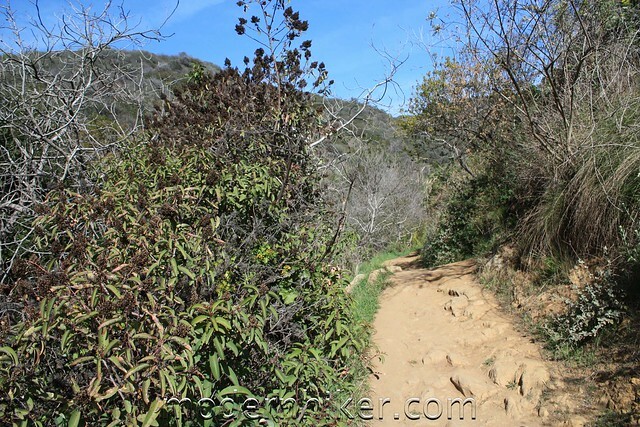 The Los Liones Trail continues for 1.3 miles, gradually opening up to a small viewpoint at the junction with the East Topanga Fire Road. 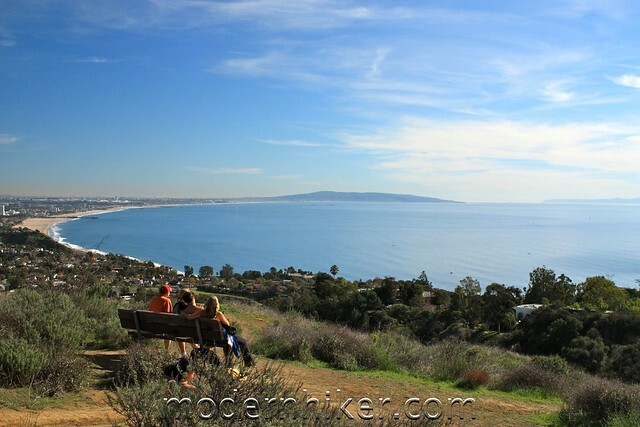 From here, you’ll probably be able to get some great views of the Santa Monica Bay, and perhaps even inland toward downtown, depending on the air quality. Keep left at the junction to continue on the Fire Road, which now begins a long and seemingly arduous incline as it meanders north through the State Park. The gain is steady and steep in parts, but it’s manageable – about 600 feet in the next mile – and there are plenty of great views to go around. Still, I don’t know if I’d want to be doing this part of the trail on a hot summer day. This is the bulk of the trail, and since the terrain isn’t as varied as it was on the Los Liones Trail, it can seem a bit monotonous. If you want to add a bit of variety (and make the trail more strenuous), most of the small peaks and bumps do have use trails that march across the summits instead of avoiding them like the fire road. Continue on the fire road until you reach a three-way junction at about 3.2 miles. Take the clearly marked fire road to Parker Mesa for another half mile as it heads west along a ridge. There are a few ups and downs here, but nothing too bad. You’ll also have some great views into the parks more rugged interior, but the main draw are the sights from Parker Mesa itself. While the Mesa can seem crowded at times, you’ll always have something to look at in the distance. 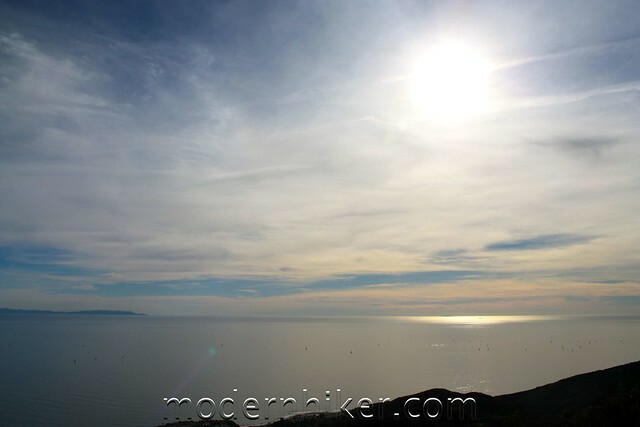 On this day, I could see from Santa Barbara Island all the way to the distant San Bernardinos. The day after a rain, the views would probably be even better. When you’re done resting and soaking in the views, return back the way you came. Excellent. 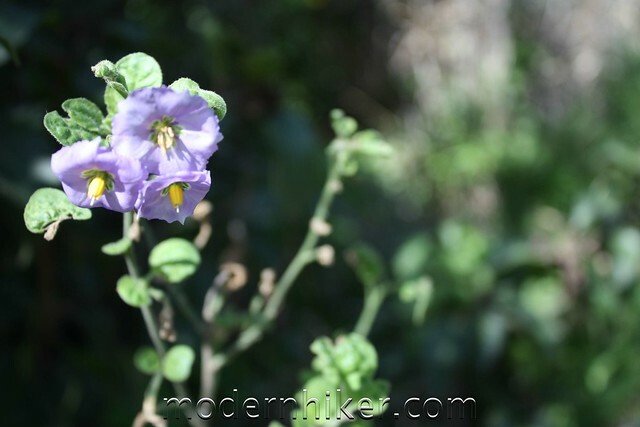 Most of Topanga State Park consists of wide fire roads with the occasional firebreak spur. All trails are clearly marked, and most have distance markers at major junctions. 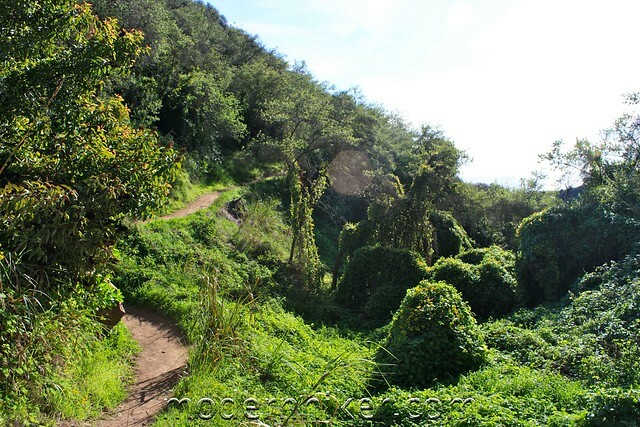 The Los Liones Trail is one of the most beautiful single-track trails I've seen in the Santa Monica Mountains. From the Pacific Coast Highway, turn east onto Sunset Blvd. and left onto Los Liones Drive after 0.3 miles (the turn comes up quick, and it's not a major intersection - so be careful!). The trailhead is clearly marked about 0.6 miles down Los Liones Drive, just before it makes a sharp turn to the west. 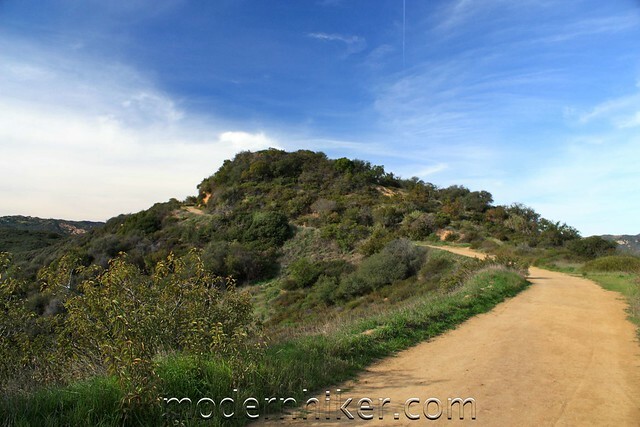 There are several parking areas closer to Sunset Blvd, which have a short trail connecting them to the Los Liones Trail. Transit accessible via Metro busses 2/302 and 534. Nope. 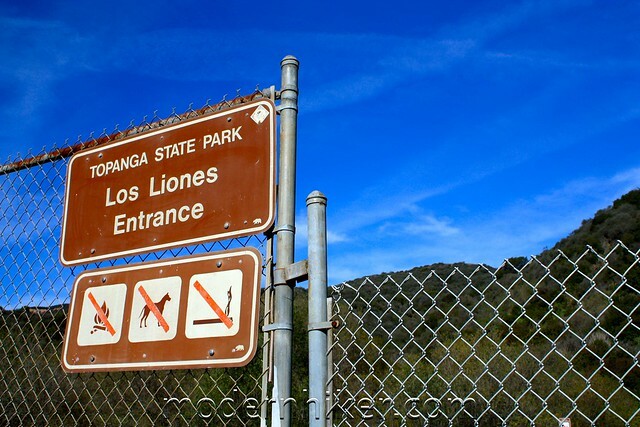 Dogs aren't allowed in Topanga State Park. Are dogs on a leash allowed on this trail? Did the hike today. Fantastic! With a few scrambles and all the ups and downs, it ends up being about 1750 ft of climb. Also, I clocked it at 7.7 mi. Absolutely beautiful views and doesn't really give you the same vertigo feeling that some high hikes can because when you're in the interior of the canyon, the drops are often relatively small. One thing I will say---those first few switchbacks after the first bench (paseo miramar) are not easy! There have not been any fires in this part of the Santa Monica Mountains lately. It'll be summer-brown, but fine! Nancy, if you're worried about being by yourself, you'll most likely have plenty of company on this trail :) I say go for it! Two fun Vlogs we made while hiking here on Thanksgiving. With the added weight of blankets and food it was a killer workout! p.s. It's funny, the signs spell the trail two different ways! Yeah this is not the best hike to do on a hot sunny day unless you're going in the early morning or evening - it's full sun the whole way. And yes, the drought has not been kind to our plant life. The oaks that are usually turning gold and orange this time of year are just wilting their leaves and dropping them off. It's bad everywhere. Give this trail another shot on a cool winter morning - or right after a rain storm. I guarantee it will feel like an entirely different trip! Yeah this drought has been really tough on all our plant life. All the oaks that usually turn yellow and orange are just wilting their leaves and dropping them instead. Give this trail a go right after a winter rain and it'll be brand new to you!